It's Wednesday and that means it's time for a new Color Throwdown Challenge! This week, Tammy has some great colors for us which admittedly had me stumped for some time, but I ended up loving them with this waterlily image by Flourishes. I sponged Baja Breeze ink on the picot-edged die cut then layered the fussy cut image with foam dots. After coloring it with Copics, I added highlights using the peach and garnet Spica pens. The Riding Hood Red border is a stamp from Verve's Bountiful Backgrounds set. A circle of Chocolate Chip CS was placed beneath the picot circle. We'd love to see what you create with these colors! 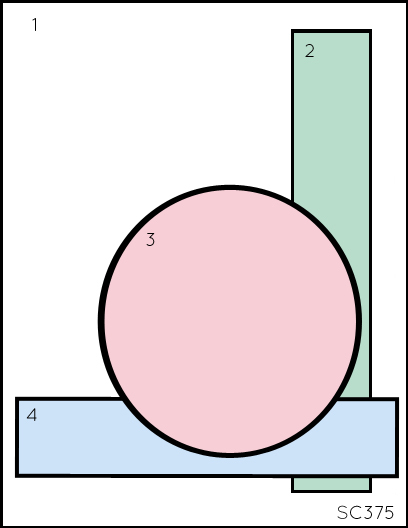 Remember, if you don't have the exact colors, please feel free to substitute colors that are close! 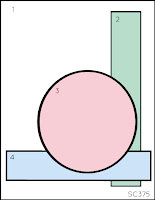 Make a card or paper crafted project and post it to your blog. 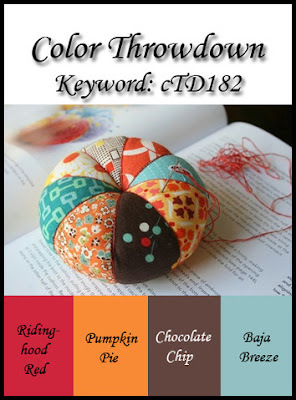 Then use the direct link from your blog and link it to the Color Throwdown blog using the linky tool. If you post to an online gallery please add CTD182 to the keywords. For more inspiration, you'll want to check out the other design team members' creations: Barbara Anders, Broni Holcombe, Danielle Kennedy, Joan Ervin, Kerri Michaud, Kristin Eberline, Lori Tecler, Lynn Put, Tammy Hershberger, and our fabulous guest designer for March - the talented Bev Gerard! Welcome, Bev! I am also entering this into Flourishes' Bring Back Beautiful Challenge to create a card representing spring or autumn...depending on which hemisphere you are living in. For more details, check it out HERE. This is also using the flipped version of this week's Sketch Challenge on SCS. Thanks for stopping by and know that I love your comments! Gorgeous card Wanda!! Love the fab vibrant colours, they really pop against the white!!! Thanks for playing the BBB Challenge!!! Fabulous water lily! You are a star pupil from your class with that fabulous colouring :) Great use of the colours too. Absolutely gorgeous! I just love all the layers and that beautiful image. TFS. I saw this on SCS, Wanda, and it just wowed me, the colors are so incredible, and the flowers are stunning - like I said "WOW"!!! WOW, girl...this just pops off the screen...absolutely STUNNING, Wanda!!!! What a gorgeous waterlily image and your coloring is sooo beautiful!!!! Yowza!!! This is gorgeous, Wanda! Oh to have a backyard pond filled with these beauties! I might have to just leave this one on my 'puter screen for a while to savor, m'dear. Oh how beautiful Wanda!! I just love the layers and the stunning coloring!! So vibrant!! So pretty, Wanda! The vibrant water lily is fabulous. Very lovely card. Saw it over at the Color Throwdown and it caught my eye. Love how it works for more than one challenge too. Oh my! That water lily was indeed perfect to use with these colors and the sketch was just right too! Love this card, Wanda! Yes, I just have to say again how beautifully this card turned out. That punch of orange is stunning on these lilies! Wanda, this is beautiful. The lily looks as if it's floating! Gorgeous! This is STUNNING. I love the colors of the flower. Great job. This is just gorgeous Wanda! I love how the flower buds extend out of the frame-and the orange is a beautiful burst of color! 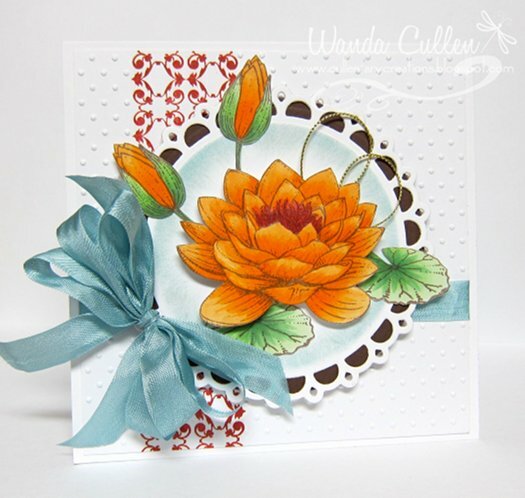 Wanda your card is so eye catching and beautiful! Your flower image is so pretty and just pops with the orange color! Beautiful use of these colors, Wanda! Your coloring on the water lily is fantastic! This is so gorgeous, Wanda! Beautiful coloring and design! Thanks so much for playing Flourishes Bring Back Beautiful Challenge.